Help! How do I Pack for Sturgis? Take less than you think you need – you’re going to need less than you think. Use space-saving containers and methods wherever possible. Take travel- or sample-sizes of bulky toiletries. I would also, of course, refer you to my helpful and amusing post from 2011, Load Your Bike with FLEAS, for more useful tips. 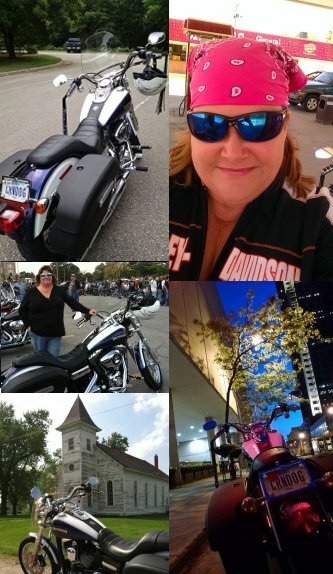 From my perspective, “what to expect” on your Sturgis trip and what to pack depends entirely on what you plan to do once you’re there. 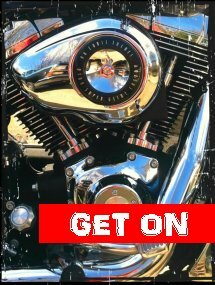 Are you going to ride? Or are you going to party? Speaking personally, our trips in 2006 and 2009 were primarily about the scenic riding. The closest we came to a party was the wet t-shirt contest we happened upon when we strolled into the Sidehack during a downpour. When you’re riding, the three primary things you can expect and pack for are wind, heat and rain. Wind: Foam ear plugs really deaden the fatigue, noise and discomfort of heavy crosswind howling through your ears. Heat: I found that a thin undershirt layer, with a white long-sleeve layer on top, is cooler than riding in a t-shirt. White, because it reflects rather than absorbs heat. Long-sleeve, to prevent windburn. You can always wet the long-sleeve layer if it’s unbearably hot. Rain: It rains just about daily out there. Consider getting a rain suit if you don’t already have one. You might even consider wearing it. South Dakota requires motorcycle helmets for riders under the age of 18. Not required for adults. South Dakota requires motorcycle handlebar handgrips to fall below shoulder height. Extreme ape-hanger bars don’t pass this test, JSYK. You don’t need clean jeans every single day. Clean underwear every single day, yes. But a couple pairs of jeans should last you all week, which is a huge space-saver. Facebook fans agree on this point. One even posted a video about packing for a bike trip, so be sure to look for it! Take a heavy jacket. It’s less common, but still possible, that temperatures could drop. Our friends reported rain and temps in the 40’s the morning they planned to come home a few years ago. Now it’s YOUR turn! 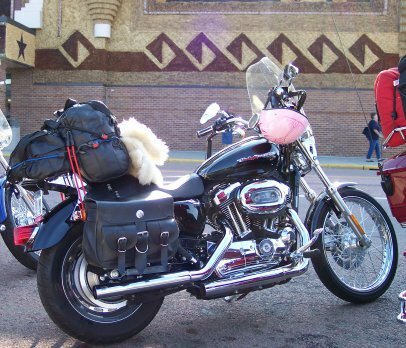 If you have packing tips to add for our Sturgis-bound friends, share them in the comments!